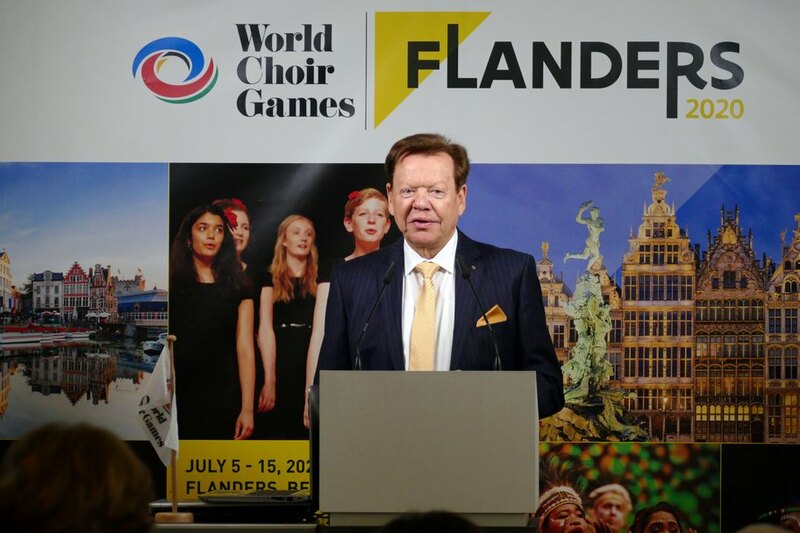 In the rooms of the Flemish Parliament Günter Titsch presented the 11th edition of the World Choir Games 2020 to the public: These Games will focus on inclusion of all people. Even the Flemish Ministers Sven Gatz (Culture and Media) and Ben Weyts (Tourism) were present, because the World Choir Games in the host cities Antwerp and Gent are supported from the state to reach this goal of a living together between people with and without disabilities, regardless their origins. The World Choir Games are organized by INTERKULTUR, based in Germany and will happen from July 5-15, 2020 in Flanders. Thousands of singers in choirs from all over the world are expected to travel to the Kingdom of Belgium. Along with the press representatives many diplomats from the embassies in Brussels attended the event, among them the German representative Florence Lamand. In his speech Günter Titsch emphasized the significance of the World Choir Games for a peaceful understanding between the people. INTERKULTUR had 30 years of experience in organizing these largest choral festivals worldwide. All in all 208 events have been organized in 25 countries. As an example he highlighted the past World Choir Games events in Austria, Germany, Republic of Korea, Latvia, China, USA, Russia and South Africa, where thousands of singers participated and compete for Gold, Silver and Bronze Medals. For 2020 in Flanders he announced to organize the most inclusive World Choir Games ever. Disabled people in particular should get the opportunity of getting to know the international choral culture and having an exchange with choirs from all over the world, he stressed as the aim of these World Choir Games. As a symbol he handed the Choral Olympic Flame from South Africa over to the ministers and the Local Organizing Committee consisting of representatives of the Flemish Choral Association Koor&Stem. 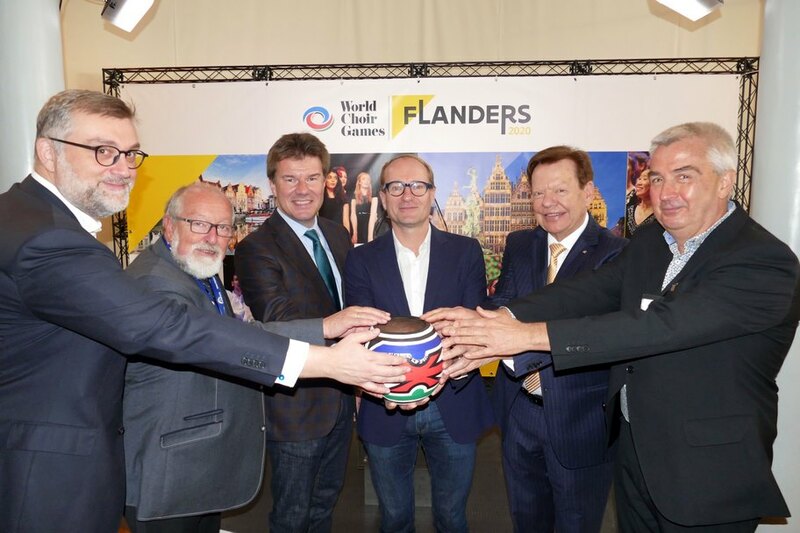 “I’m convinced that the 11th World Choir Games in Flanders will be again a big step to a unifying and peacemaking culture of humankind,” said Titsch and thanked the hosts.